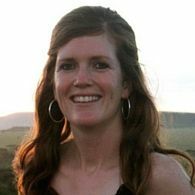 Dr Jacqueline Halpin is an Honorary Adjunct Researcher with both the Discipline of Earth Sciences/ARC Centre of Excellence in Ore Deposits (CODES) and a Geochemist - Geothermal Heat Flux the Institute for Marine and Antarctic Studies (IMAS). Her research mainly examines dynamic processes occurring in the Earth's crust, including: crustal growth and architecture; continental rifting, breakup and exhumation; and tectonic cycles and supercontinent configurations. 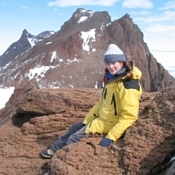 Jacqueline has been involved in a variety of both fundamental and applied projects since she joined CODES in 2007, and is currently working on Antarctic geoscience themes as part of the ARC Antarctic Gateway Partnership Special Research Initiative at IMAS. Jacqueline joined the Discipline of Earth Sciences/ARC Centre of Excellence in Ore Deposits (CODES) in 2007 and the Institute for Marine and Antarctic Studies (IMAS) in 2015. Jacqueline completed her science undergraduate degree with Honours in Geology from the University of Melbourne in 2001, and was awarded her PhD, on the tectonic evolution of the Rayner Complex in east Antarctica, from the University of Sydney in 2007. She has since worked for both Macquarie University and the University of Sydney as a lecturer and research associate. Jacqueline has been involved in a broad spectrum of Earth science undergraduate teaching at three universities involving classroom, practical and field-based units across all year levels. Subject themes including introductory Earth Science, tectonics, metamorphic geology, and field geology and mapping. Jacqueline's research focuses on understanding tectonic processes and the evolution of the continents. Her specialities include: geochronology (age dating of rocks); petrology (the origin, composition, distribution and structure of rocks); metamorphic modelling (the pressure-temperature conditions recorded in the Earth's crust); and geochemistry (elements and isotopes that make up rocks). She works with a wide range of geologists, geophysicists and plate modellers to test and derive new models for the ancient relationships between, and tectonic evolution of, the Earth's continents. Jacqueline's research encompasses two of the University of Tasmania's research themes; the Marine, Antarctic and Maritime theme, aligning with IMAS and the ARC Antarctic Gateway Partnership SRI, and the Environment, Resources and Sustainability theme, aligning with research strengths in the School of Physical Sciences and CODES. These research themes require synthesis of a wide range of geochemical, geochronological and other geological datasets, in order to address time-integrated tectonic processes and test and improve plate reconstructions. Currently Jacqueline is involved in projects such as investigating the amalgamation and breakup of Gondwana, microcontinent formation in the Indian Ocean, the relationship of Tasmania to ancient supercontinents, the tectonic evolution of East Antarctica, geothermal flux from the Antarctic continent, and paleoceanography using trace elements in marine pyrite. Applied research in collaboration with the minerals industry and government agencies aims to better understand the link between ore genesis and tectonic setting to inform future exploration. Jacqueline enjoys and values collaboration and has a broad family of international and national co-authors. She has current collaborative projects with leading geoscience academics at Australian Earth Science departments at Macquarie University, Sydney University, Curtin University, Adelaide University, Flinders University, Australian National University and the University of New England, and government agencies including the Geological Survey of South Australia, Mineral Resources Tasmania, Geological Survey of Western Australia and Geoscience Australia. Internationally, she currently collaborates with researchers from Thailand, Vietnam, China, Russia, UK, USA and Canada. Jacqueline regularly publishes high-impact papers on global Earth Science themes in journals such as Geology, Precambrian Research, Earth and Planetary Science Letters, Gondwana Research, Journal of Metamorphic Geology, Journal of Petrology, and Contributions to Mineralogy and Petrology. She is an expert reviewer for a wide range of journals including Precambrian Research, Gondwana Research, Journal of Metamorphic Geology, Journal of Petrology, Terra Nova, American Mineralogist, and Lithos. Jacqueline has been awarded significant funding and research support, including a 2015 ARC Discovery Project and 2015 Australian Antarctic Science Grant. She has also been successful in securing ship time on Australia's marine research vessels (worth over $4 million). Surprising little is known about trace element trends in past oceans, even though these data are vital for interpreting the evolution of the Earths atmosphere, evolutionary pathways of marine life and cycles of major mineral deposits. Using laser-based analysis of sedimentary pyrite in deep marine rocks, this project will produce, for the first time, temporal variation curves for 25 trace elements in seawater over the last 3.5 billion years. Preliminary research has validated the technique and demonstrated major changes in certain trace elements over geologically short periods. Outcomes will assist the minerals industry in the discovery of new deposits of zinc, copper, gold and iron ore in Australia. The project aims are to: 1) collate metamorphic datasets across the area selected in order to define the P-T-t history of the central-northern Gawler Craton; 2) complete an analytical program to constrain the detailed P-T-t history of chosen case-study region (e.g. Coober Pedy Ridge); 3) compile a map and report of metamorphic grade across the region combining both available legacy (aim 1) and new (aim 2) datasets. Outcomes will include new compilation of P-T-t conditions across the central-northern Gawler Craton and new data on the P-T-t evolution of a sub-region of the central-north Gawler that has been previously poorly known. Jacqueline has supervised Honours, Masters and PhD-level students on a range of geoscience topics. She is keen to hear from motivated students who have an interest contributing to projects that address questions in continental evolution and plate tectonics.